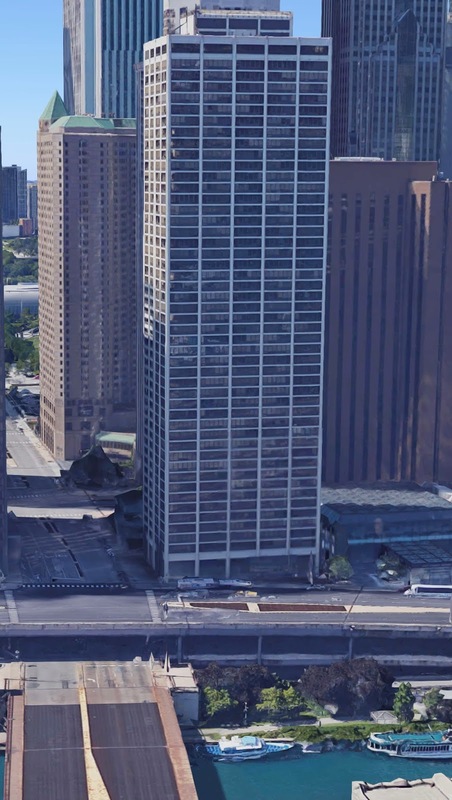 August 7, 1978 –Construction begins on Columbus Plaza, the first residential building to go up on the Illinois Central Railroad property between Randolph and Wacker Drive on the south and north and Michigan Avenue and Lake Shore Drive on the west and east. The 47-story building will contain 552 studio and one- and two-bedroom apartments. Five buildings have already been erected on the 83-acre site since development began in 1969, but they are all commercial or hotel buildings. 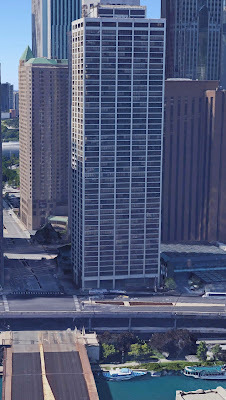 Two residential buildings have been completed east of Lake Shore Drive in this time period, the Outer Drive East condominium and Harbor Point; today they can be found to the west of the reconstructed Lake Shore Drive. The tower is the product of the architectural firm of Fujikawa Conterato Lohan and Associates. 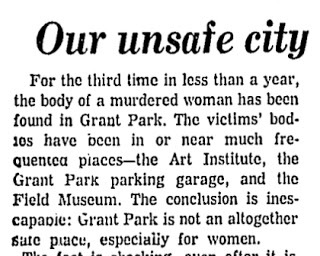 August 7, 1910: The Chicago Daily Tribune once again editorializes about the evil of the Illinois Central Railroad, writing, “Yesterday was a perfect day in Chicago. The sky was cloudless and the lake a blue turquoise, save along the eastern edge of the south side. There the vile smoke from a hundred coughing locomotives of the Illinois Central railroad made it seem the gateway to the inferno. All along one-half of what should be the most magnificent city water front of the world went the disfiguring trains drawn by engines, the stacks of which belched forth clouds of smoke and showers of embers. The public library, the Art institute, the hotels, the business blocks, and miles and miles of private residences are all begrimed and polluted by this nuisance. Books, pictures, and furniture are discolored by it, health is endangered, and a property loss of millions constantly increased.” The paper presents only one viable alternative: electrification. Yet, it is pessimistic about such a remedy ever occurring. “A corporation like the Illinois Central never improves its service until the balance goes against it,” the editorial ends. 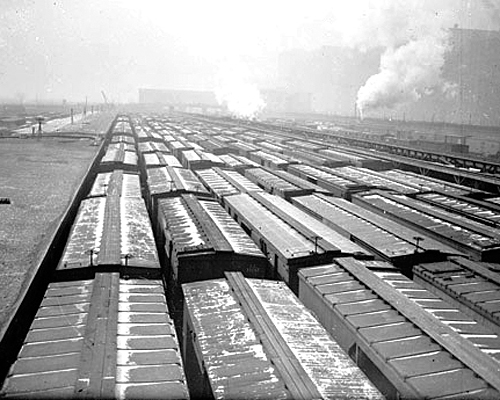 “Or until a municipality takes it by the back of its corporate neck and squeezes it into compliance with a popular and imperative demand.” At this point the Illinois Central operated over 300 steam trains into and out of Chicago. It would take 16 more years before the commuter tracks were electrified from downtown to Matteson.